Money is an important material resource. Which we use to purchase most of the goods and services we use. 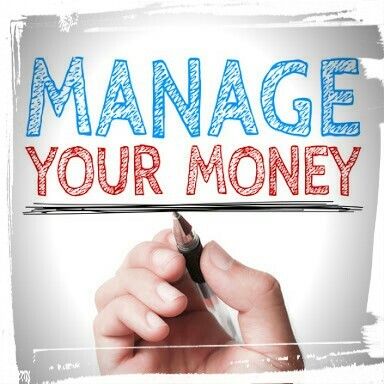 The amount of satisfaction we get from our money management is an organized process of allocating or using money to achieve specified goals (needs that are usually purchased with money. We cannot discuss money management without mentioning income, budgeting and savings. They are important aspects of money management. Expenditure must never exceed income. Ensure that your expenditure is within the limit of your income. Allowances should be made for emergencies that may come. Separate your needs and goals in order of importance so that the most important should be given priority. Identify family goals e.g. providing education for the children, owning a house or buying a car, etc. Establish priorities. Here, the family should determine which objective or goal is most important or needs to be started early so as to yield interest as the family financial need increases. Estimates the cost of goals. The family should list goals, rank them, and tag the cost. For instance, if a person’s goal is to own a house that costs N60, 000 after five years of service, it means that the person should save at least at N1000 monthly for five years. Analyse the financial resources. The family should examine carefully all sources of family treasury for use in reaching family goals. For salaried workers with regular employment, money income is usually predictable over a lifetime. For those with irregular incomes and uncertain employment, planning is both more difficult and more necessary. Formulate a plan of action. Once the desired life style and goals of a family are established and current financial resources have been calculated the approach will need to be streamlined. In order words, a budget showing family need and the corresponding proportion of income to each need is made. The budget could be monthly or yearly as the case may be. Organize all efforts. This involves taking decisions about who is to keep the records. What kind of checking account is to be used when banking, timing of purchases and what kinds of records to keep. Control activities: income should be channelled to planned objectives or goals and should not be wasted. For instance comparative buying should be used when making purchases to select durable and useful items for the family. Keep adequate records. All income and expenditure should be properly recorded. For instance, when properly or a home is purchased, cheques receipt and records relating to the property through the years should be kept until the property is sold. This practice could save money at tax returns. Evaluate regulatory families should check the effectiveness of their financial should be abandoned or revised. Expenditure should be adjusted to changes in income and goals. It helps to cater for the needs of every member of the family. It prevents unnecessary spending and promotes peace, security and stability in the family. It helps the family to see and access their spending patterns and to adjust properly. It helps to prevent the children and other members of the family on how to spend wisely. It helps to accomplish a long term plan of difficult ventures. It helps to apportion the available income adequately to cater for both primary and secondary needs. A budget is the plan for the future expenditure of a given household or an individual. It is a useful devise that can help a family to achieve their goal. Budgeting is the first step in money management. According to Gross and Crandall (1963) the following steps are involved in making a budget. List all the commodities and services needed and wanted by family members throughout the proposed budget period.